Gold stocks are soaring but which will gain the most? As the price of gold rises to $1,500 and then well beyond, gold shares will likely be the best performers in the world. But the biggest winners will not be large household name stocks but rather junior exploration stocks that succeed in discovering large scale economic gold deposits. 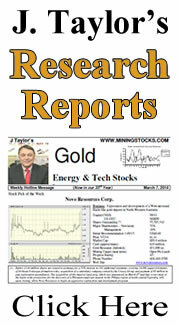 Editor Jay Taylor seeks to find undiscovered gold producers and exploration companies that have the potential to rise 10 fold or more during this bull market. So far this year as you can see from the chart on your left Jay is having a very good year. But you simply throw darts at names of gold mining companies on the Toronto exchange if you want to optimize your returns. Following are some important headlines for some companies covered by Jay in his newsletter.